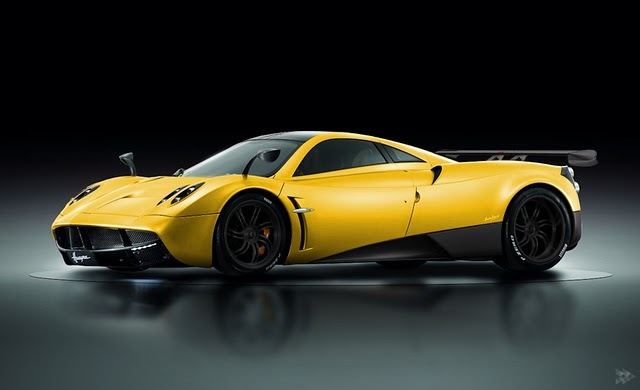 This is how the new Pagani Huayra would look like in a yellow and black finish and fitted with a rear spoiler. Even if it might look better with a rear spoiler, i'm pretty sure that the active aero parts have been tested to offer a more versatile body shape that will help the Zonda sucessor achieve higher speeds both when cornering and in the straight lines. Head on to Autogespot to see more Huayras in different colors.